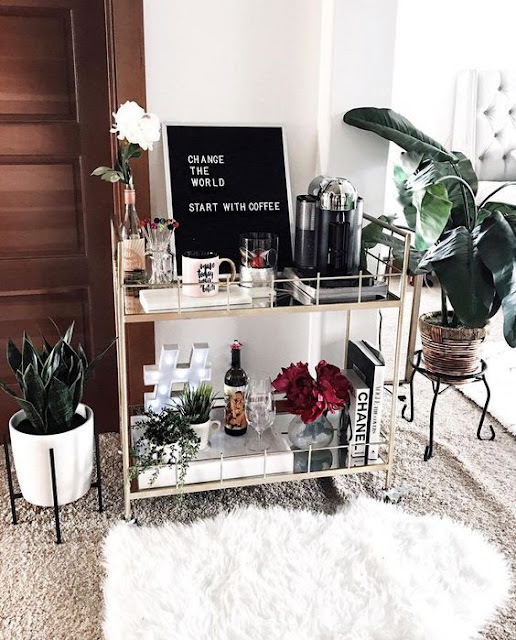 Earlier I mentioned our recent bar cart purchase and since then, I've been looking for ideas on how to style it! There are so many incredible ideas out there but most of them don't fit our style. We aren't fancy drinkers - just your basic beer and wine people. 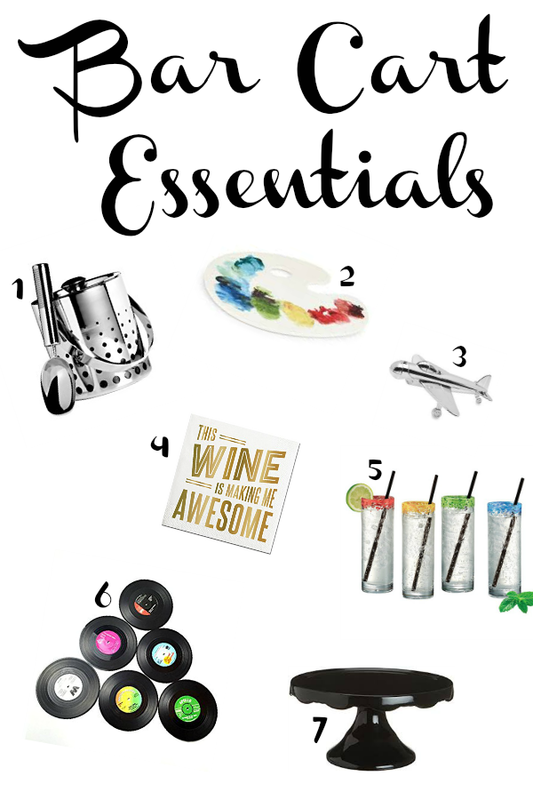 With that in mind, I've created a few bar cart essentials I'm thinking of using and also included a few inspiration pictures!!! 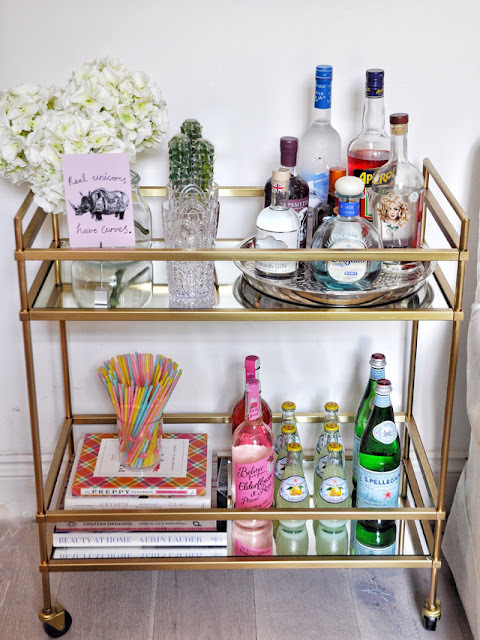 What's your bar cart style? 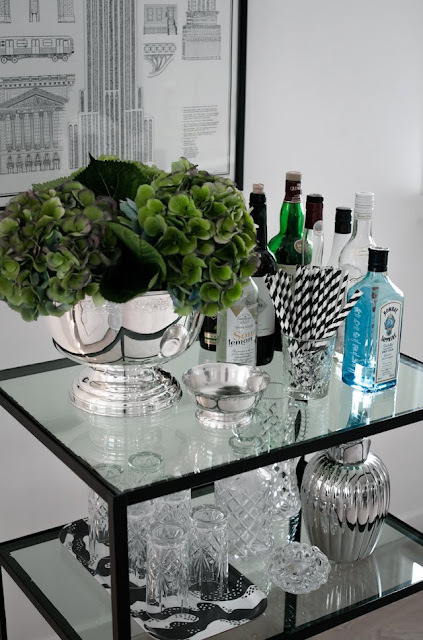 I love how something as small as a bar cart can make a dramatic impression! Let's see if I can pull this off...stay tuned!!! Thanks so much for stopping by! 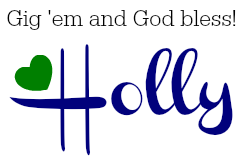 Wishing you a day filled with your favorite things! 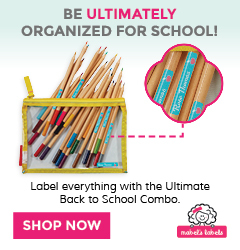 I can't wait to see how you style yours. 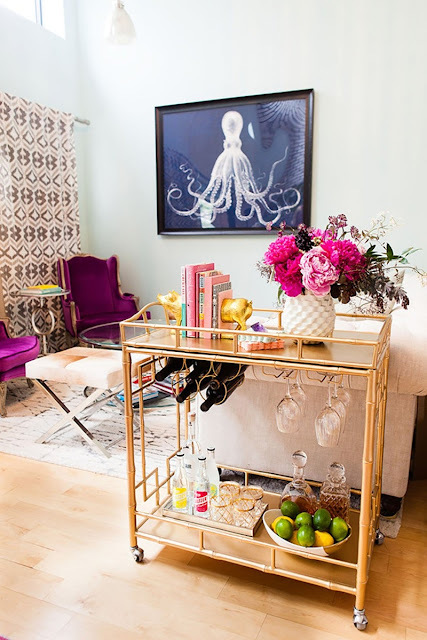 Your home is so beautiful and I love love love your eclectic style! and bright colors! Gorgeous!! 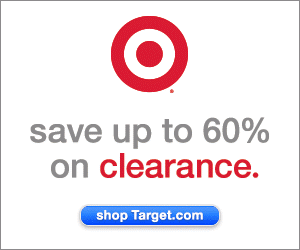 You buy a bottle of vodka and I'm there in a snap! Oh how fun! 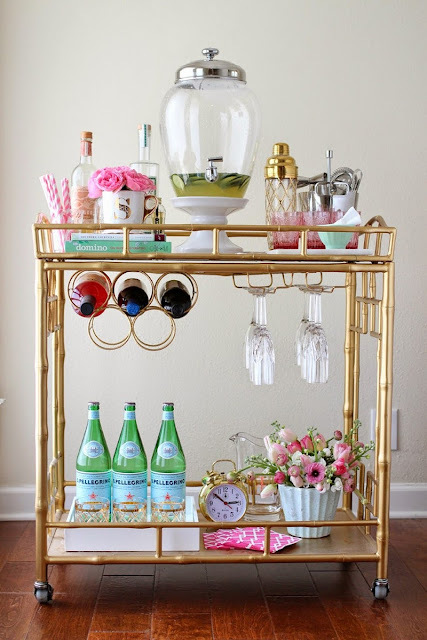 I don't drink alcohol but I LOVE bar carts; they just seem so cool. Love the cheese tray and coasters you shared.